After sexual misconduct allegations against guitarist Luke Rockets, pop-punk band With Confidence has decided to continue as a three piece. The decision to part ways with Rockets follows a Facebook post from Piper Vidler, which details the inappropriate messages Rockets, 23, sent to her friend, who was at the time 14 years old. In an industry that is notorious for covering up sexual misconduct with lies and the right promotion angles, With Confidence has handled the situation in a refreshing manner. Not to praise the remaining members of the band, because in all honesty they just did the right thing. However, amidst current events, they do pose as a model for what musicians should do if put in this position. Late last night an allegation came to our attention about our guitarist Luke Rockets. Luke Rockets is no longer a member of With Confidence. We are passionate about music being a safe space for people of all ages and are extremely disappointed and disgusted. We had absolutely no idea this had happened. This sort of abuse of power has been all too prevalent in today’s industry. It is in these circumstances that people need to be completely stripped of that power and held accountable for their actions. We support and have endless respect for the individual who has come forward and ask that everyone respect their right to privacy. Unfortunately we will not be able to complete the remainder of our US tour. We apologise but ask for your understanding. We will continue to do whatever we can to support and empower all those who have supported us. This individual isn’t the only one to make allegations against Luke Rockets; several others have recently come on Twitter to say they know of other underaged girls that Rockets has had conversations with in sexual manners. 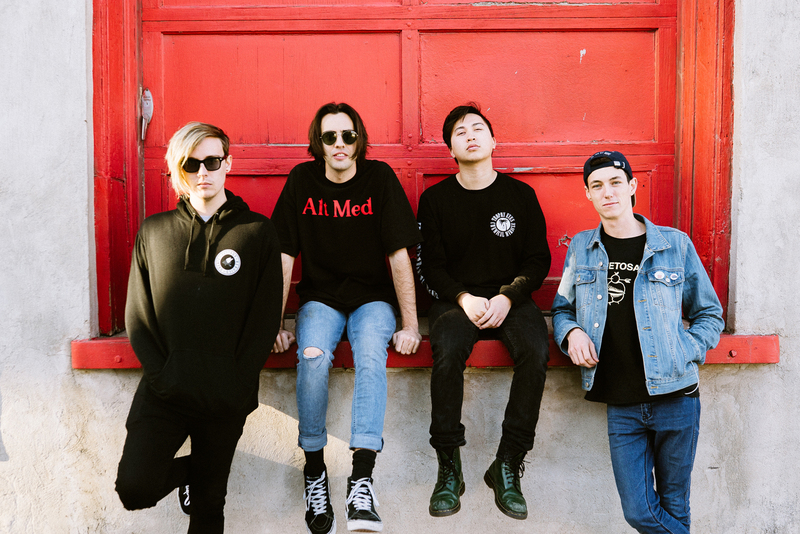 As With Confidence is currently on tour, Knuckle Puck has announced that they will not be joining them on the remainder of the tour. Due to information that has come to light, With Confidence will not be appearing at the last six shows of our US tour. It’s important to treat sexual misconduct allegations today with seriousness. Young girls are constantly being taken advantage of and are often afraid to speak up about it. People shouldn’t have to worry about their favorite band or artist harassing them.